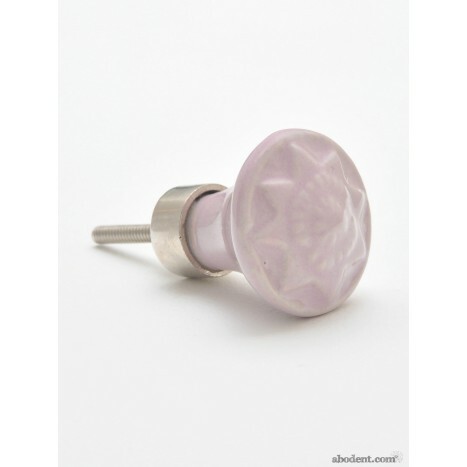 The subtle tones of lavender gloss the surfaces of this star form knob. It's larger size, weighty ceramic body and well made metal hardware make this a star knob in shape and quality. Tags: star shaped knobs, purple star knobs, star dresser pulls, purple kitchen door knob.